• Feeling Irregular? Malcolm Fontier introduces a very interesting initiative to clear out their slightly-irregular, sustainably leather-free and vegan accessories...at any price YOU choose. Wowza. • NYC, mark your calendars. 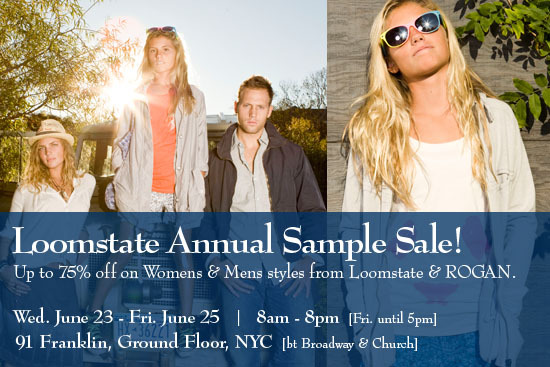 From June 23 - 25th, Loomstate is having it's famous sample sale in NYC with up to 75% off organic cotton for men and women in their distinctive and laid-back surfer/rocker/skater style.